← Cancer Sidelines Progressive Justice: Rejoice? 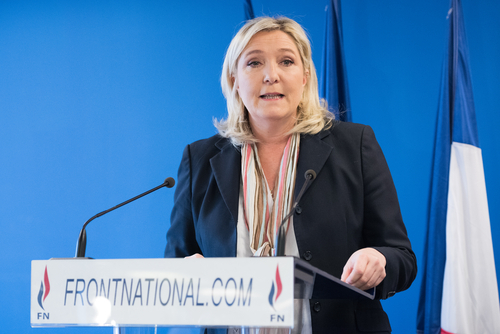 Two more politicians in France have abandoned Macron and joined the right party of LePen ahead of the May European elections. Our sources in France are clearly revealing that the Yellow Vest movement has had a profound impact on politics. Macron’s promises to raise taxes on the rich are falling short because that just never seems to result in lower taxes for anyone else. Our models are shaping up to show May as the major turning point here in 2019. This will have a profound impact on European share markets as well as the currency. Meanwhile, the EU is really at war with Poland and its policies have been outright deliberately intent on punishing Poland. This is leading to the development of a new coalition causing Ital and Poland to join together against Brussels to form their own anti-EU league.